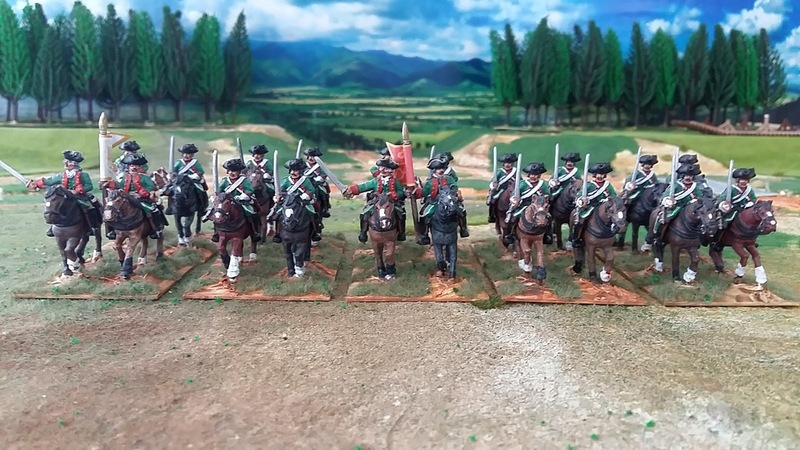 Another distinguished Austrian Dragoon Regiment, this one was raised in 1688 by Hannibal! General of cavalry Gustav Hannibal count Löwenschild. 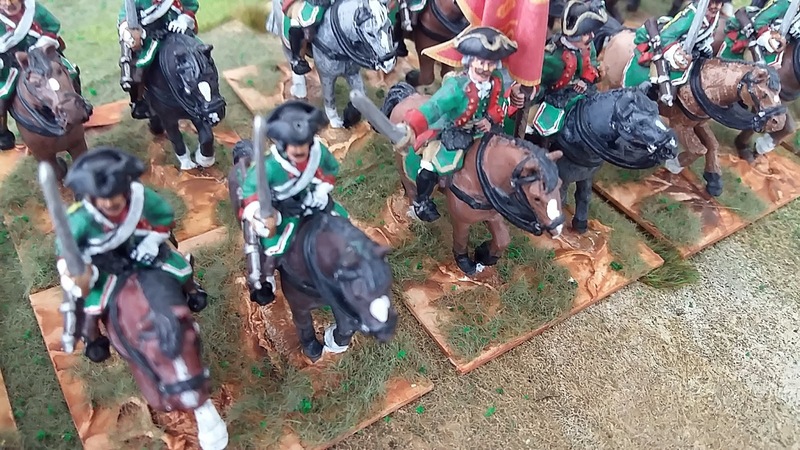 The more I read about these regiment's war histories (all the way through the 18th century not just the SYW) the more I come to the view that Austrian Dragoons were of superb quality and possibly even better than their Cuirassier cousins. 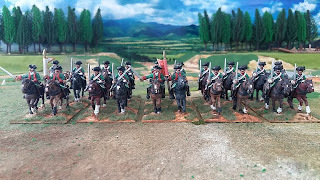 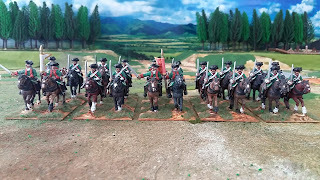 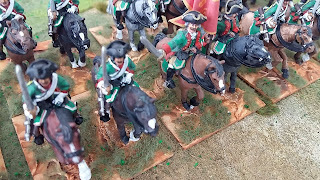 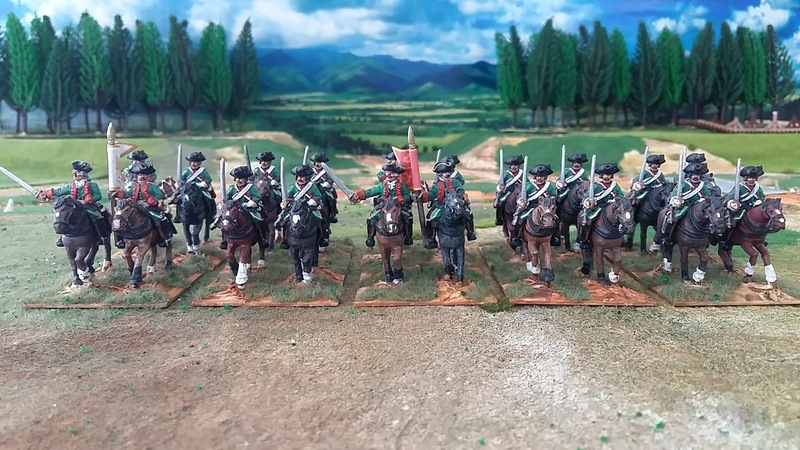 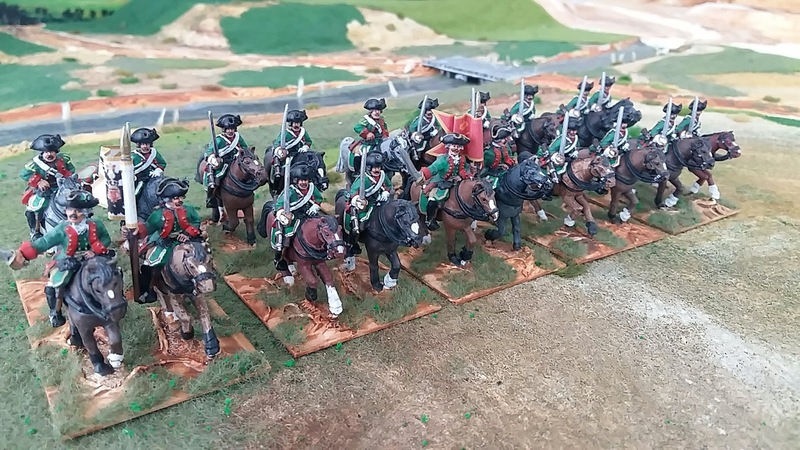 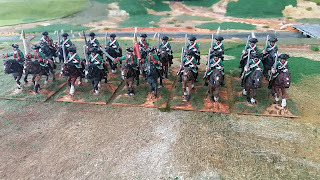 They can certainly run rings around their Prussian foes in the WAS and this regiment was on the successful left wing of the Austrian cavalry at Mollwitz.